POLICE Complaints Authority (PCA) head David West pointed out a growing concern - corrupt police officers are now engaging in human trafficking, particularly in Venezuelan girls. 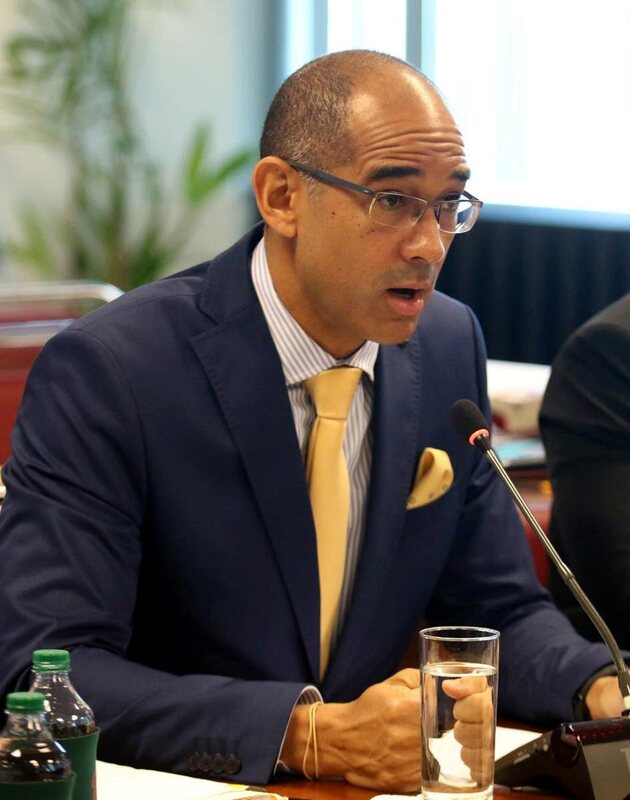 West expressed his concerns during the Trinidad and Tobago Transparency Institute Anti-Corruption Conference yesterday, at the Trinidad Hilton in St Ann’s. West said human trafficking has become a rapidly growing trend among corrupt officers who wish to take part in a multi-million industry. He cited Financial Intelligence Unit (FIU) annual reports, which indicated that in 2017, there were 11 cases of human trafficking which garnered about $2 million, and in 2018 there was the same number of cases, but they earned a total of $9.5 million. He said that it was more than twice as high as figures from the FIU in 2014, who indicated that there were five reports of human trafficking that year. “I am sure you will all agree with me that perhaps a decade ago the term human trafficking was not part of the law enforcement vernacular in this country. However it is now part of the crime fighting conversation and very much an issue of growing concern,” West said. West said human trafficking was among the many forms of corruption that rogue police officers may engage in, and included receiving bribes, failing to record and investigate a report against a fellow officer, and disclosure of police information to benefit political groups. “Every day you have complaints or headlines where police officers are involved in alleged corruption,” said West, “I invite you to pick up any newspaper as evidence of what I am saying here today.” As early as yesterday, it was reported that seven police officers were arrested and charged over an extra duty racket which they ran from their traffic branch posts. West said the PCA and other independent bodies are tasked with holding errant police officers responsible for their crimes. He also commended Commissioner of Police, Gary Griffith, for his stance on dirty cops, and his implementation of random drug testing and polygraph testing for police officers. He said proper leadership is a great deterrent to police corruption. “The former acting commissioner of police acted in that position for six years before we have a substantive commissioner of police. “I believe that leadership and effective supervision in the police service plays a role in the fight against police corruption,” He said. West added that it was important for there to be an independent body like the PCA and the Professional Standards Bureau that would oversee the police service and ward against corruption. “Amongst other things police officers are expected to maintain law and order in the society. Whey they display wanton disregard for their laws, which they themselves are expected to uphold it naturally results in poor public perception of the police,” West said. Reply to "Human trafficking, growing trend among corrupt police"